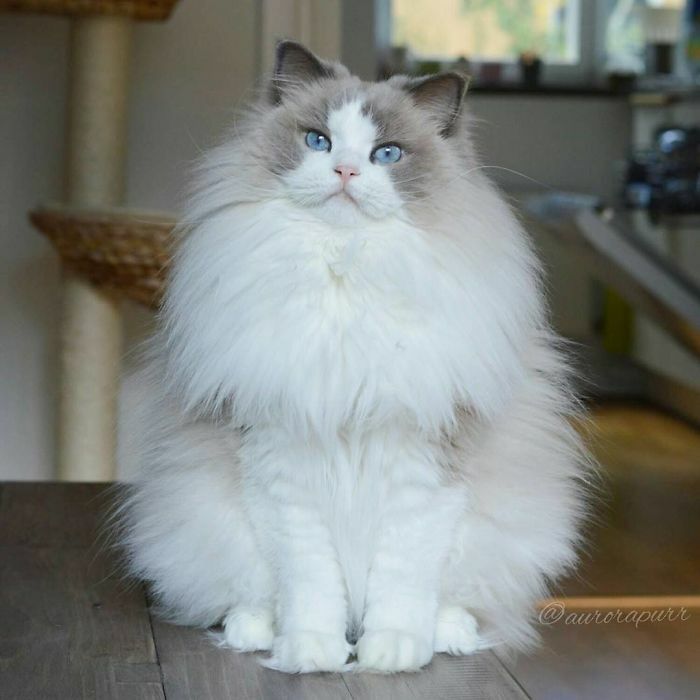 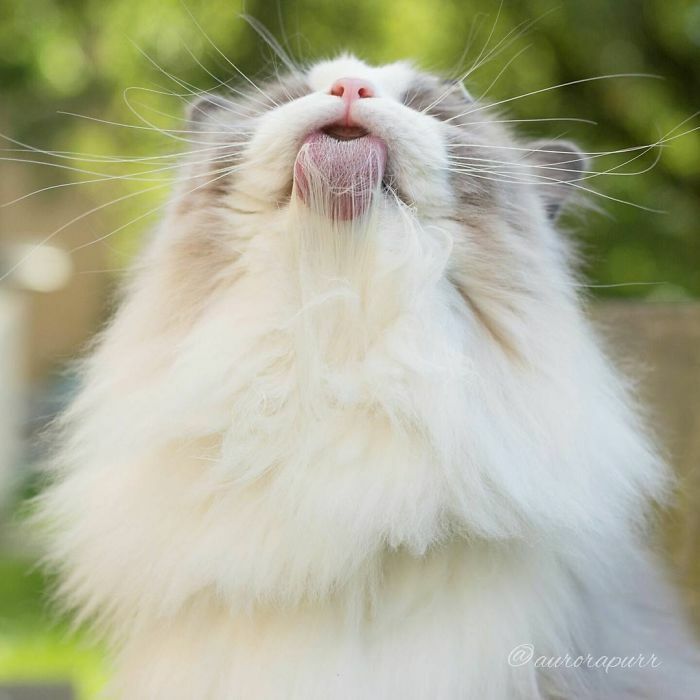 Meet Aurora, the most beautiful and fluffiest princess cat ever. 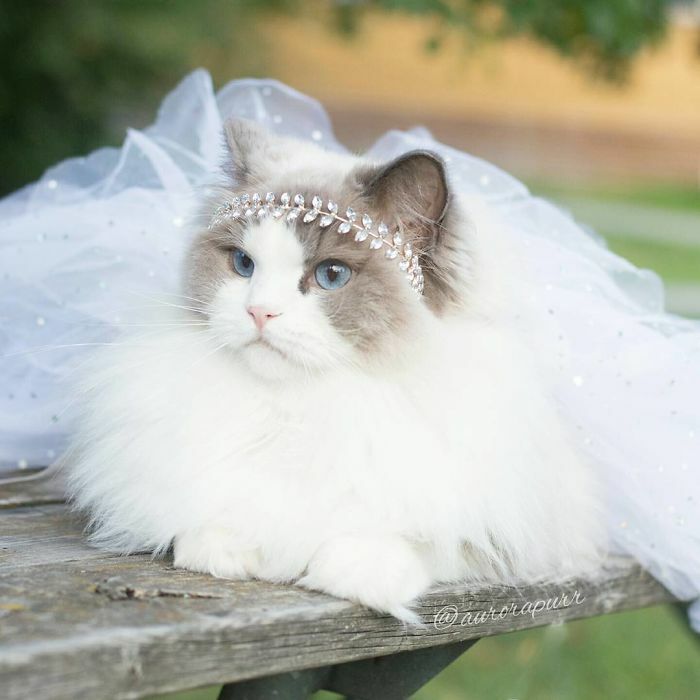 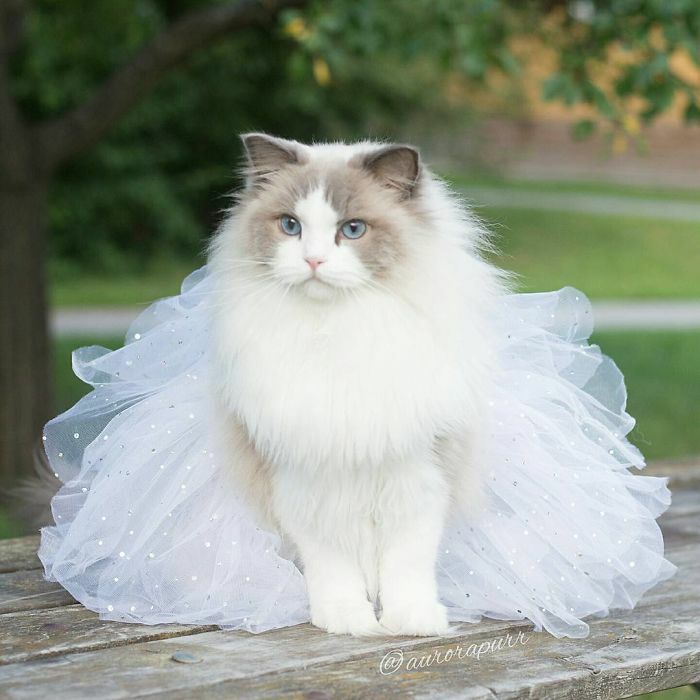 Aurora is Blue Bicolor Ragdoll kitty who was named after the princess in Sleeping Beauty, and as you can see, her family consider her to be true royalty. 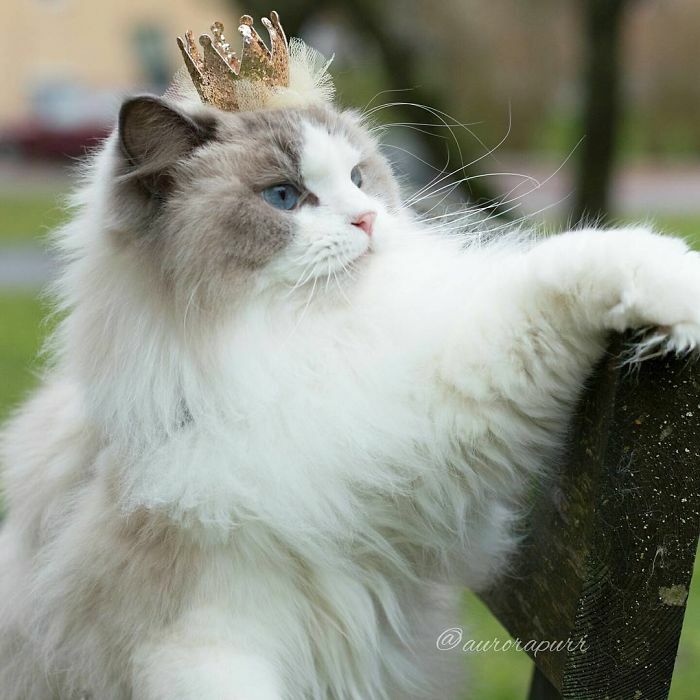 “Cats are known for being the rulers of the house and Aurora takes that to the next level. 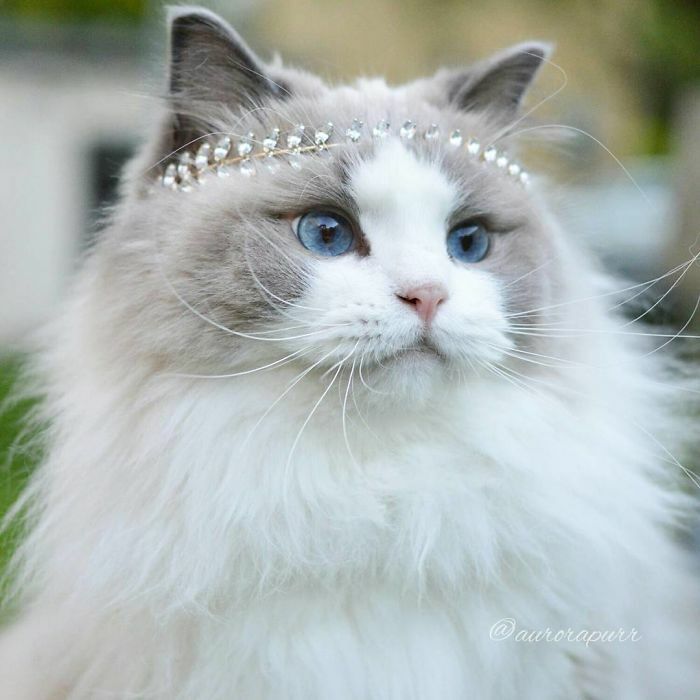 She knows she is beautiful, at least that’s what her manners imply. 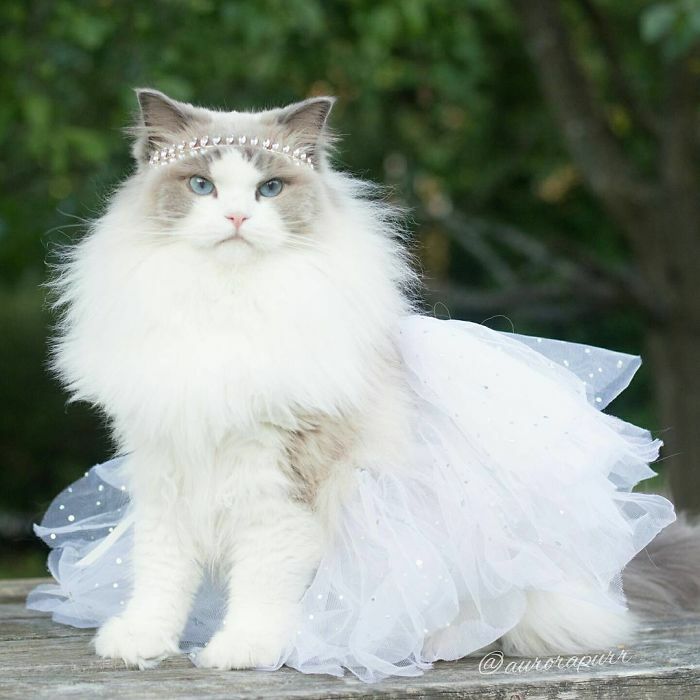 It’s her way or no way basically,” say her humans, Emily and Niklas. 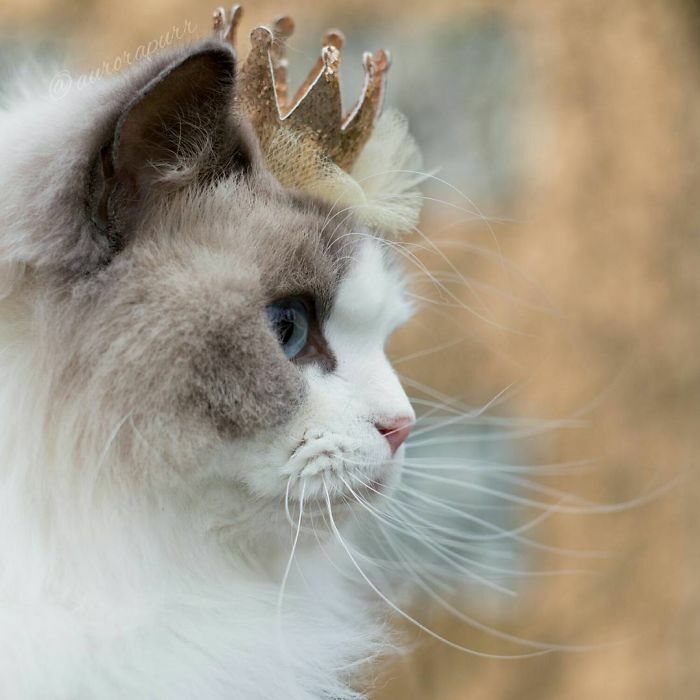 But unlike some royalty, Aurora is a very smart and lovable kitty! 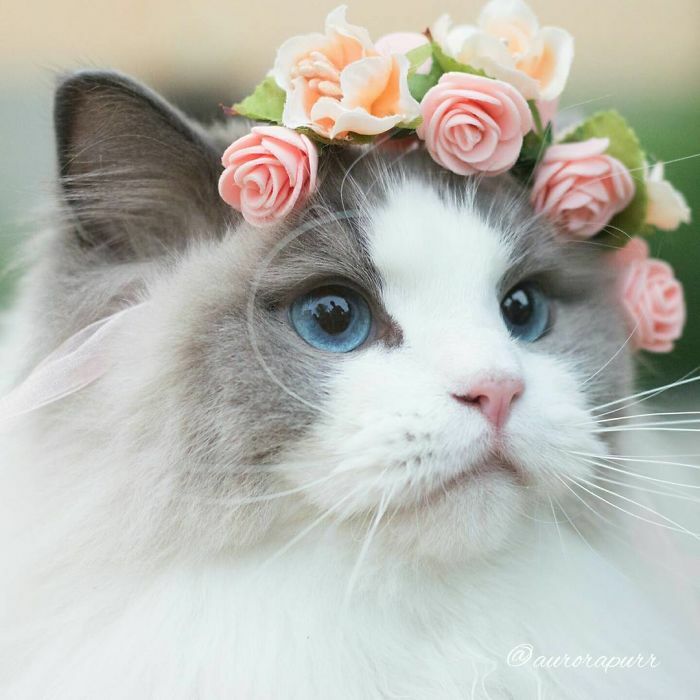 She even loves the family dog! 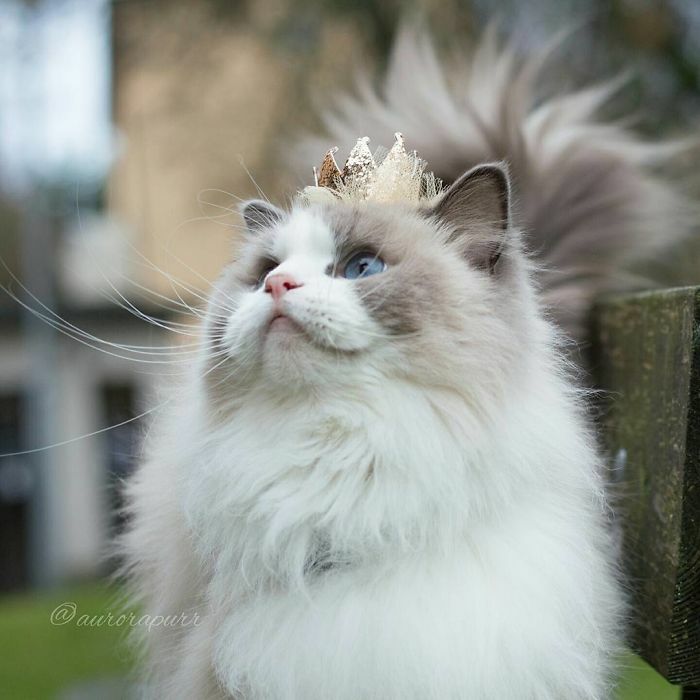 We think she’s the purr-fect princess!